WODHOPPER is much more than your average run-of-the-mill gym management software. WODHOPPER helps gym owners easily manage memberships and assists coaches in customizing workouts and tracking athlete performance. But the software isn’t simply a membership dashboard. It’s an all-encompassing tool to help your business thrive. Today we’re going to dive into WODHOPPER’s record keeping and accounting features and learn how they help reduce the friction inherent in onboarding members and collecting consistent payments. By building outstanding, supportive communities and helping people live healthier, fitter lives, every CrossFit box plays its own little part in making the world a better place. Gym owners and coaches are often the main reasons athletes first choose to join CrossFit boxes. The passion is contagious and palpable. But the survival of a CrossFit box is ultimately dependent on people joining and paying their membership fees. An easy way to enroll new members, ideally without having to rely on reams of paperwork. 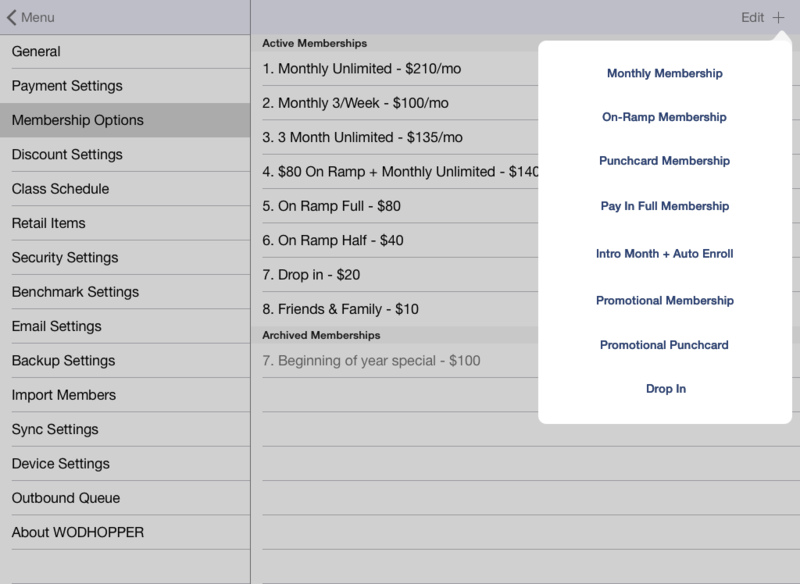 The ability to make billing extremely easy (or even automatic) for members. Access to a clear financial picture of the gym’s financial data, with the ability to see which members owe money or have been declined, and who may be nearing a possible membership renewal. A view of upcoming payments. Without having a clear handle on those four crucial elements, it’s difficult to have confidence that your gym will be able to keep the lights on for the foreseeable future. Thankfully, WODHOPPER’s record keeping and accounting features offers all of that and more. Let’s check out the feature! Automatic payment processing saves time and provides peace of mind. If you make use of this feature, you won’t have to worry about late or missed payments because your members will be set up to auto bill each month. Since the payments are automated, you will also have the ability to view all upcoming payments and when they will take place. This will save you the massive headache of wondering when a member will decide to pay up. In addition, you will receive immediate alerts if a payment is declined, which gives you the ability to follow-up with a member before their payment becomes overdue. The feature also allows incidental charges and retail sales to be combined with monthly payments. This helps you cut down on merchant fees and allows you to conveniently charge your members for their purchases without them having to pull out a credit card. WODHOPPER makes it easy to onboard members and collect payments. Paperless Enrollment is the ultimate time-saver—but it also makes member onboarding easier. Not only that, but since WODHOPPER will store all of a member’s crucial membership information, it decreases the friction that would be inherent in storing client information in a file cabinet, a computer folder or an additional software program. Members can choose to go completely paperless, and WODHOPPER will allow them to sign electronic waivers and agreements in addition to submitting important health assessment documents. Perhaps the most important aspect of owning and running a gym is having access to crucial data that allows you to monitor the health of your organization. And that health starts with your members. WODHOPPER’s record keeping and accounting features provides gym owners with instant access to all of this data. It’s easy to see which members owe money and whether their payments are overdue. You also get a more holistic picture of your member base, as the feature shows who is nearing the end of a membership and could be renewed. All of this information is also available offline, which means you can manage your business from anywhere. WODHOPPER also gives gym owners access to their gym’s monthly revenue reports, which provide the ultimate picture of gym expenses as well as how the gym is performing. Our most recent software update simplifies membership suspensions, allowing owners to set future suspension periods and automatically calculate prorations. No calculator or spreadsheet required! Many gyms struggle to when it comes to implementing processes that simplify member management to such a degree. WODHOPPER makes it easy. WODHOPPER is designed to make gym ownership and gym membership as easy as possible. It’s 2018, and no one wants to carry around important documents and sign paper waivers that get lost in a file cabinet. But even most technology only solves this problem marginally: manually updated spreadsheets to track financial metrics and third party accounting software can make digging through a computer just as disorganized as digging through a file-room. WODHOPPER offers every feature gym owners need in one program. Request a Demo to learn more about how WODHOPPER makes gyms more profitable and efficient.